Illustrations and tables are included wherever necessary to focus and clarify key ideas and concepts. Dr. Biehle's classic MCAT Physics Book presents a clear, insightful analysis of MCAT physics. His lively prose and subtle wit make this challenging topic more palatable. Dr. Biehle received his Ph.D. from Caltech (California Institute of Technology) in physics. He has ten years experience at various levels in science education. 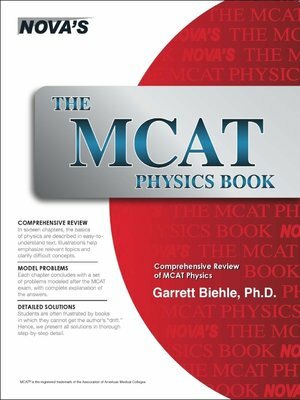 The MCAT Physics Book is a result of his experience presenting physics concepts in a classroom setting to students preparing for the MCAT.